Horchata is a traditional, sweet, milky drink originating in Spain and Latin America that has become quite popular in Southern California, particularly with Mexican cuisine. 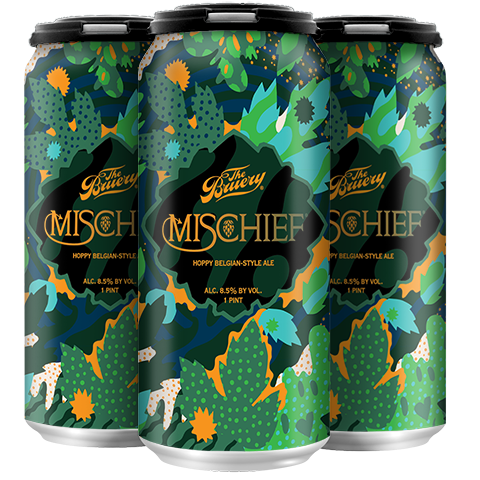 Our homage to the traditionally non-alcoholic drink is a blonde ale brewed with a heavy dosing of rice, cinnamon and vanilla along with lactose for a little extra creamy character. These ingredients meld together to create a taste and experience that hints at horchata, but it's much more than that. The flavor is hard to describe, but for those who know it, you know you love it. Saison Ardennes is a tart saison, hand-crafted to embody the dependable, spirited nature of a classic Belgian-style farmhouse ale. This includes a crisp malt profile, rustic floral and spice notes and lively carbonation. Our rendition expresses further depth and character from its fermentation and maturation in a large oak foeder. Saison Ardennes will continue to pleasantly evolve in the bottle, thanks to the presence of wild yeast added for bottle conditioning. Scotland is known for its bagpipes and it's beers, and this Scotch-style ale adds Belgian Candi sugar to the mix, giving it deep notes of toffee and dried fruit accented by the spicy herbal aroma of coriander. 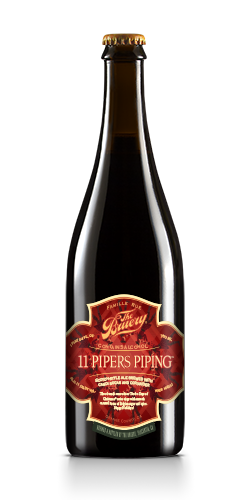 The eleventh verse in our Twelve Days of Christmas series, 11 Pipers Piping is an extra-smooth and malty, full-bodied jig of a beer.